Amazon.in Price Crash Deals – Hello friends, Hope You Are Doing Well With Our Free Recharge Tricks. Here Is I am Back With Great Loot On Shopping With Amazon daily products Sale , We Know The Festival Of Love and Lights Diwali is Very Near and Now Amazon.in again back with Price Crash Deals Sale. This Sale is available on every hour with Selected Everyday items (Live 1 product every hour). 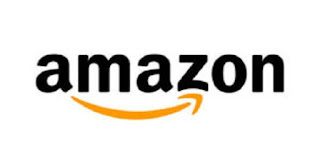 On Amazon Price Crash deals, Few daily need items at Amazon will be available on cheap prices. The Amazon Price Crash deal is Live from 10AM to 11AM and 1 product get live on each hour. So Guys i will going to big loot go to the link and avail this Offer on the sale date !! Amazon selected everyday items – 1st October 2017. 10 AM – Dettol Deep Cleanse Soap, 75g (Buy 3 Get 1 Free) for Rs.49. 11AM – Tetley Green Tea, Lemon and Honey, 10 Tea Bags For Rs.25. 12PM : WOW Fabulous Foaming Body Wash – 300ml for Rs.41. 1PM : Saffola Multi-Grain Flakes Nutty Crunch – 225gm for Rs.59. 2PM : Mesmara Australian Tea Tree Essential Oil 15 ml for Rs.1. 3PM : Doritos Sweet Chilli, 150g for Rs.49. 2. Choose the product which you want to buy. 4. Now Add the All the selected product to your Shopping cart. 5. Just Login or Sign up your Amazon account. 6. Select or Enter your Shipping details and complete address. 7. Pay the amount using your sutable Payment mode. 8. When your payment will successfully done, Your Product get Delivered to your Doorstep within 2-4 working days. Hurry!! Enjoy your pruduct and don’t forget to share with others.